Route#33E fro Chocowinity, NC to Clay Bottom School, to Cotton Patch Rd, to Crisp Landing Rd. I always put out feeders for the birds in winter and this year, where we normally do not get much snow, we got several inches. 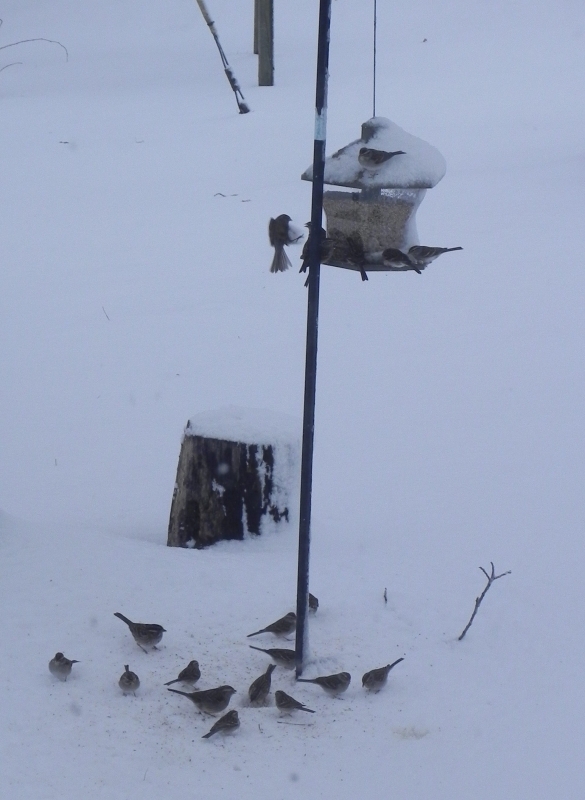 Sparrows eating at the bird feeder and in the snow.